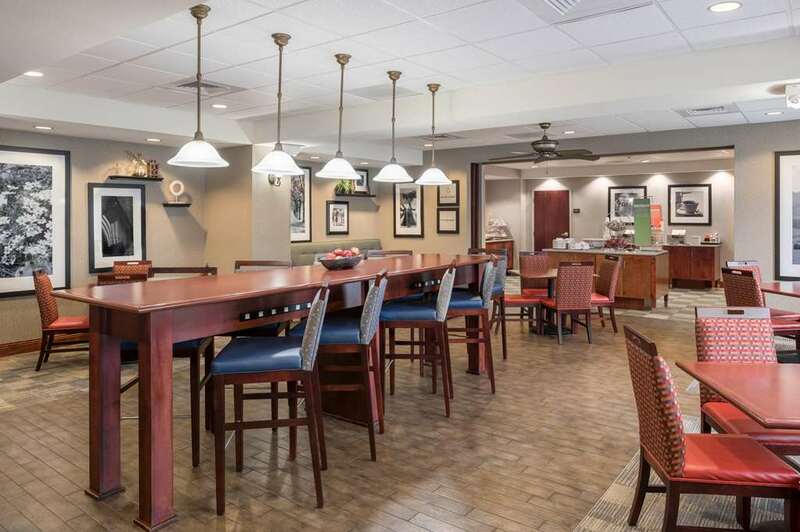 This Hotel is 100 PCT Non-Smoking The Hampton Inn Branson - Branson Hills hotel is a beautiful 4 story brick and stone structure located in the picturesque Ozark Mountains. Adjacent to the new 18 hole Payne Stewart Golf Club the hotel is an easy drive to all of Bransons theatres and attractions. The hotels location is ideally suited for visitors to the entertainment capital of the Midwest. The Hampton Inn Branson - Branson Hills hotel has 89 spacious guest rooms with either king-size or double queen-size Tranquility beds. The rooms have views of either the golf course or the Ozark Mountains. Additional amenities include a complimentary On the House hot breakfast each morning a fitness center and indoor swimming pool. We love having you here at the Hampton Inn Branson - Branson Hills in Missouri.